Editors Note : In a city teeming with 4.5 million people lives a community comprising of just 20 members. They are too few to be considered a vote bank, too frail to make their presence felt, but too proud to let go of a glorious past. They are the Jewish community of Kolkata. The Calcutta Jews migrated from Syria and Iraq more than 200 years ago in search of business opportunities. They had prospered and have left a rich legacy of mansions, schools, hospital wards and more. Always persecuted in the lands wherever they have lived, Kolkata has been an exception, where Jews could practice their faith and vocation without fear and discrimination. Amitabha Gupta set out on the trail of the Jewish community in Kolkata for this article written exclusively for Probashi. Amitabha lives in Kolkata and is a freelance journalist and a professional photographer. It was in 1798, when the first Jewish merchant Shalom Obadiah ha-Cohen decided to settle down in Kolkata and laid the foundation of the thriving Jewish population in the city. 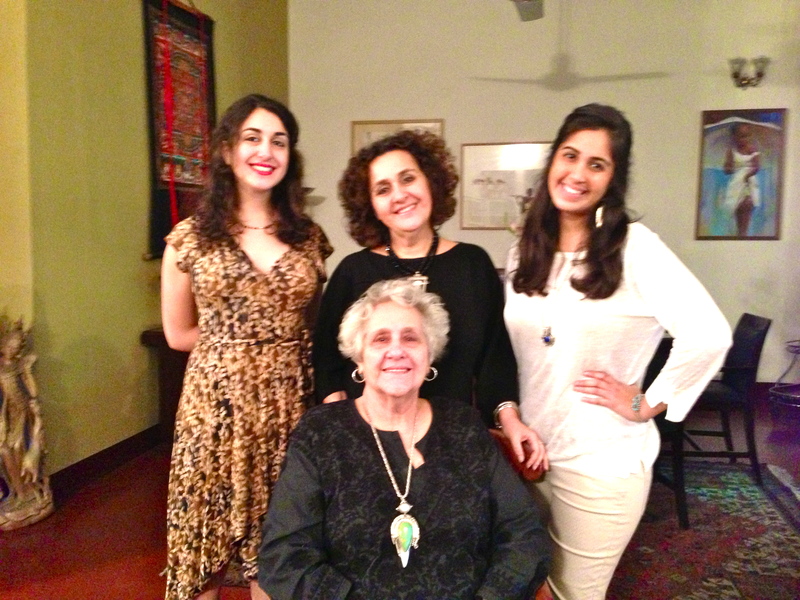 Fast forward to 2014, Jael Silliman, one of the remaining 20 odd Baghdadi Jews launched her digital archive (www.jewishcalcutta.in) covering the 200 year old history of the Jews in Kolkata before the curtains finally comes down on the community. 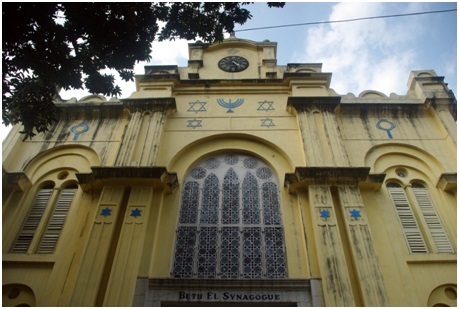 Over these 200 years the Jews of Kolkata integrated themselves into the cultural and commercial firmament of the city. Primarily traders, the Jewish businessmen of the early 19th century made their fortune in opium trade with China. 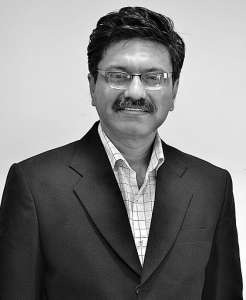 They subsequently diversified into real estate and export of cotton, jute and indigo. Shalom Obadiah ha-Cohen the first Jewish settler in the city came from Aleppo in Syria. The Merchant traded in gemstones, rosewater, imported Arabian horses, spices, silks and indigo. In 1816, Shalom Obadiah ha-Cohen was assigned as court jeweller to the then Nawab of Audh (present day Lucknow) – Abul-Muzaffar Ghazi-ud-din Haydar Khan. Soon Shalom’s family and associates came down to Calcutta to join him. On Shalom’s death in 1836, his son-in-law Moses Dwek Cohen took charge of the business. Moses is considered by many as the main founder of Jewish community at Calcutta. In the early 19th century the Baghdadi Jews began to settle in large numbers in Kolkata. In early 1940s there were about 6000 Jews in the city. However through the forties and fifties the Jews started migrating to Europe, United States and Israel in large numbers, uncertain about their business prospects in newly independent India. Though the language of the first generations of Jews in Calcutta was Judeo-Arabic, by the end of 19th century their preferred language was English and dressing habits European. At that time, there were a couple of wealthy noted members of the community in the city. Probably the most important family was that of David Joseph Ezra, largest owner of property at Calcutta, who provided employment opportunities to many Jews. 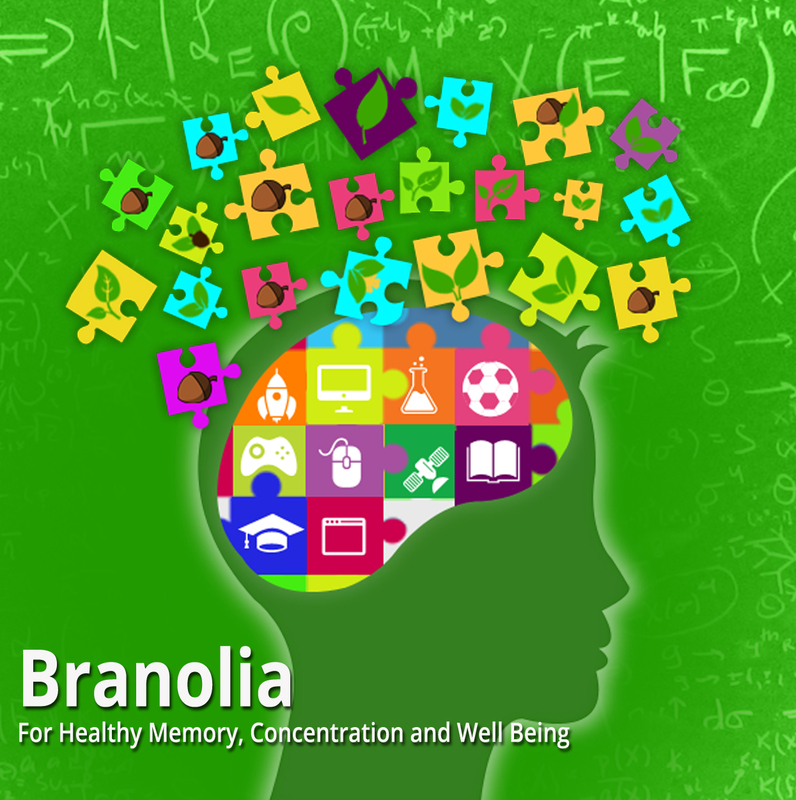 The community excelled in many fields and contributed not only to Kolkata but to India in various ways. Some of prominent Kolkata Jews include- hero of Bangladesh war Lt General Jacob Farj Rapheal, Samuel Solomon of the Indian Civil Service, film director and Padmashri recipient Ezra Mir, famous magician Eddie Joseph, sculpture artist Gerry Judah, educationist Hannah Sen, first women dentist in India Dr Tabitha Solomon, lawyer Regina Guha and many more. 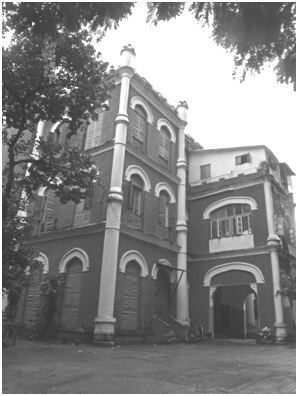 The Kolkata Jews came up with three Synagogues, two schools, prominent buildings like Chowringhee Mansions and Esplanade Mansions, business houses like David Sassoon & Co. and E. A. D. Sassoon & Co, Ezra Hospital (which is part of the Medical College), a legendary confectionery shop (Nahoum’s confectionary), Hebrew printing press and the Narkeldanga Jewish Cemetery. Names of atleast three streets in Kolkata namely Belilios Street, Ezra Street and Synagogue Street have a Jewish connection. Till date a few things still remain which revive the memories of the golden era of the Jews of Calcutta. I spoke to Flower Silliman, one of the last Jews of Calcutta now in her eighties, at her residence at Moira Street. I was instantly transferred to the era of Jewish prosperity in Calcutta. Earlier their house was at Tottie lane just behind the Indian Museum building. It was thrilling to know that she had witnessed army planes land on the makeshift airstrip at Red Road during World War II in the early 1940s. Flower Silliman studied in Jewish Girls School which was then at Pollock street. “There were several army barracks around. One was even behind the old Jewish schools”, remembers Mrs Silliman. I came to know from Flower Silliman that since the Jews were afraid of assimilation; girls were seldom allowed to mix with other community boys. The dress code was strictly followed. The food was strictly kosher. However the war changed it all. Air raids continued in Calcutta, which led to evacuation of many families. Flower Silliman along with two other Jewish Girls were shifted to a co-educational Christian School named Bishop Cotton at Nagpur. Suddenly the world changed for this Jewish girl then in her teenage years. She was transferred from her protected confines of the Jewish community at Calcutta to an Anglo Christian community at Nagpur. “It was a culture shock in the beginning” said Mrs Silliman. However this widened Flower Silliman’s world view. Kosher food was not available at Nagpur, and her mother insisted that Flower turn into vegetarian. When Flower came back to Calcutta she found the Jewish community inward looking and claustrophobic and Flower was determined to have a life outside Calcutta. She joined Lady Irwin College at New Delhi. The fact that the principal was a Jewish woman (Hannah Sen) was somewhat reassuring to her mother. During her college days in Delhi, Flower learnt Hindi, sang Hindi patriotic song, ate Indian food with her fingers, started wearing Salwar Kameez and visited fellow Indian’s homes. When Flower Silliman returned to Calcutta wearing a Salwar Kameez, her mother was shocked. She warned Flower that such clothes would not be tolerated at her home at Calcutta. “The large and close knit families.” replied Flower Silliman promptly. Today those large Jewish families of Calcutta are long lost and a time will come in the near future when there will not be a single Jew living in this city. Yet the Jews of Calcutta will not be forgotten. 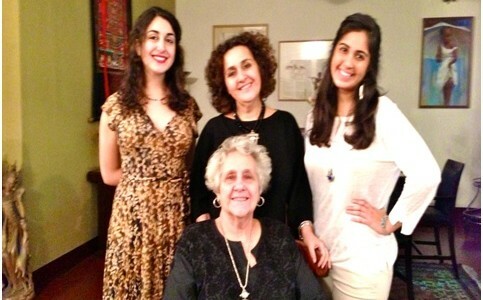 The online archive which Flower’s daughter Jael launched recently will proudly display the rich legacy of Jews in Calcutta to future generations. I cross the busy road of Park Street amidst light drizzle. I take the small lane besides the Park Street Post office and walk along. Hardly a minutes’ walk takes me to the gates of Jewish School of Girls. Entering the School compound, I enquire for secretary of Jewish School – Ms Joe Cohen with whom I have taken a telephonic appointment. The gate man takes me inside the pink coloured age old mansion. This was once the Girls hostel, now part of the School building. It is 11:30 in the morning. A group of little girls in maroon uniform are playing in the courtyard. None of the students are Jew; there has been no Jewish girl student in this school for last forty years. With Star of David designed on their uniform, most of the students are ironically Muslims. Despite a global hostility between Muslims and Jews, for these Muslim girls the Jewish School would remain their alma mata. Here they are taught to dream and given the tools to realise them. This is an extraordinary example of how fractures of religion are overcome by the bridge of knowledge. Joe Cohen, Secretary, Jewish Girls School. Joe is amongst the handful of Jews living in Kolkata. Note the copy of Probashi on Joe’s table. 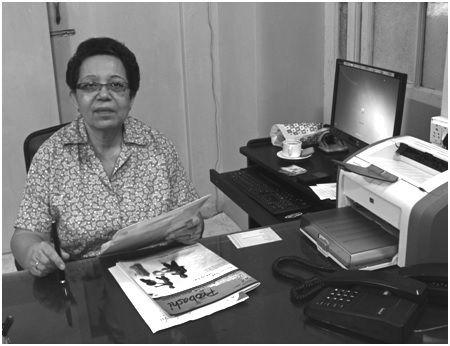 I was ushered into the office of Ms Joe Cohen, the Secretary of the school. Her genial smile and a generous face is far removed from the stereotype of a school administrator. As we started to talk, Joe traced the evolution of the Jewish Girls school There was a time when both Jewish Girls School and Boys School had only Jew students. The situation changed after India’s independence in 1947 and formation of Israel in 1948. Caught in a dilemma of not understanding which way the future course of events of the country would follow, coupled with the calling of an exclusive Jewish country, most of the Jews left India. It is from that period, admission of children of other communities was allowed in these schools. At present 0ver 90 % of the students are from the Muslim community. What was the need of setting up of a Jewish school when there were a number of good Christian missionary schools in Calcutta? The Jews who had gradually become anglicised could have very well availed the services of these schools. Responding to my query Ms. Cohen said that Jews feared the proselytising ways of the Christian missionaries. The Jews being a small community feared cultural assimilation and conversions of their children into Christianity. The Jewish Girls School was opened in 1881 which was followed with the opening of boy’s school for impecunious children in 1882. 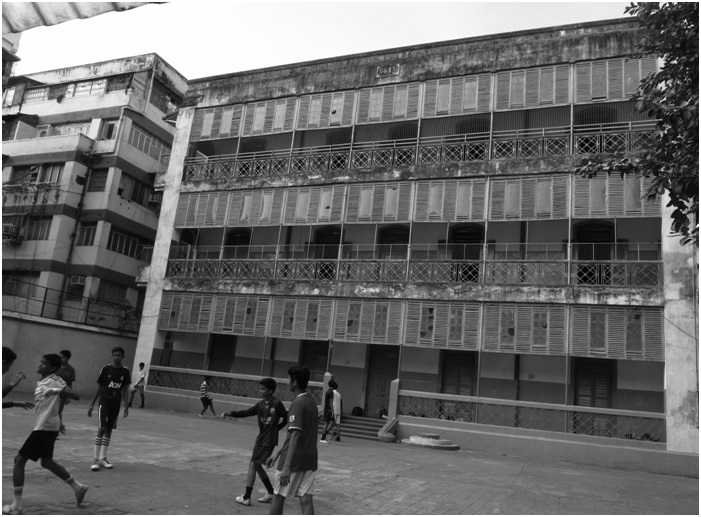 The boy’s school on BB Ganguly Street was later renamed as Elias Mayer Free School and Talmud Torah. The original girl’s school building was opposite to Bethel Synagogue on Pollock street. The building still exists in a ruined state. Part of it has been converted into a Post office. The fees have been deliberately kept low, so that good quality English medium education can be accessed by not so well off families. As related earlier most of the students come from lower middle class Muslim families from the neighbourhood. Entrusting their children to the Jewish School, the parents are assured of quality education. The girls leave their homes in hijab and salwar kameez and once in the school premises change over to the school uniform of skirt and blouse. It is an ingenious way to traverse both the worlds, one rooted in conservatism and the other looking forward to embrace the contemporary world. The key is to respect both the view points concurrently. The school is closed on all major Jewish holidays such as Passover and does not function on Saturdays, the day of Sabbath. Teaching in Hebrew has however been discontinued. It is in this school that the Muslim girls look towards a bright future and Jews preserve their glorious past. It is probably the only example in the world where these two communities who have distrusted each others for centuries have come together to walk a common path hand in hand. It is on the Park Street in Kolkata, where the school is located. a glorious chapter of human triumph over its own narrow mindedness is written every day, an apt tribute to the cosmopolitan Kolkata. Hope the world reads it over and over again. Despite subsidised education, the teachers get paid salaries as stipulated by the State government’s pay commission. Ms Cohen informed me that sometimes as a special case for parents having irregular income, late payment of fees is allowed without charging a late fine. I come to know of a situation when a child was taken ill and had to be hospitalized. The School paid the bill of Rs 20,000 and the parents were asked to repay back in easy (or should I say utmost easy) instalments. Despite students coming from the lower middle class strata, the results have been quite good. I am informed that this year one of the ex-student has cleared the IAS entrance exam. Also I am pleasantly surprised to know that Lubna Salim of The Telegraph is an ex student of this School. 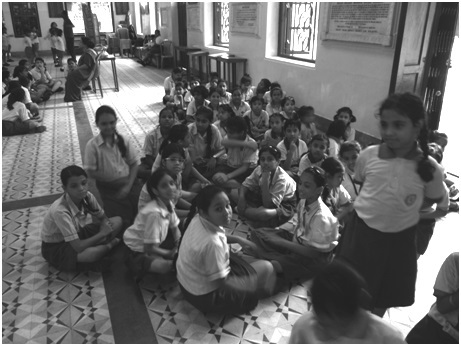 Jewish Girls School continues to contribute towards the nation building effort ceaselessly. Ms Cohen introduced me to the principal of the school Ms Indira Bhattacharya. 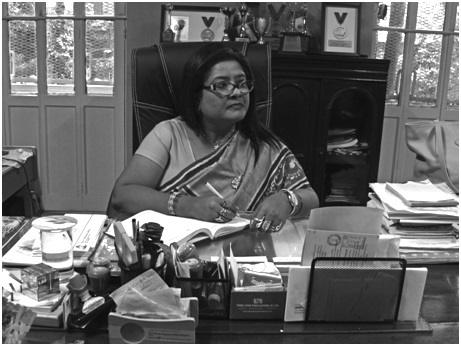 Ms Bhattacharya has taken charge recently shifting from Modern Public School where she was principal for 18 years. I ask her the reasons for the shift. “In Modern School the students were from affluent families, but here many of the students are first generation learners” says Mrs. Bhattacharya. She adds that getting good results out of these students tests the ability of the teachers. And it is these kinds of teachers, who are ready to push the envelope, keeps the Jewish Girl’s School amongst the best in the city. Jewish Boys School is also known as Elias Meyer Free School and Talmud Torah and is located on the BB Ganguly Street near Bow Bazaar. Mr. Elisha Twina, secretary of Jewish Boys School also studied in the school during the 1960s. “There were around 122 students in my time of which all were Jew. Now expect me all are in different countries.” says Mr. Twina. He remembers fondly some of his teachers, specially the Maths teacher named Mr Sasoon. 1. Mr Elisha Twina, Secretary of Elias Meyer Free School & Talmud Torah also known as the Jewish Boys. Elisha’s family returned to Kolkata after migrating to Israel. The calling of the city was too difficult to resist. Elisha despite an option to migrate to Israel decided to remain in Kolkata which he calls his home. After Independence like many other Jews, the family of Mr. Elisha Twina migrated to Israel as they felt neither a resident of India nor like the British Lords, the erstwhile rulers of India. On reaching Israel, Mr. Twina’s father missed Calcutta and migrated back to city. The ties with home were too strong to be severed. The home and its familiarity triumphed over a shared religion. Mr Twina never left his beloved city when he grew up, despite other Jews around him buying a one way ticket to Israel. “I was employed at one of the companies owned by Jewish BNE group (B.N. Elias & Co Ltd.). I was a bachelor and quite happy with my job.” explained Mr. Twina about the reason of his staying back in the city. His sister lives in Israel though. His old school friends have visited Kolkata and met him. “But let me tell you….” adds the veteran gentleman “Given half a chance they will come back”. There was so much sincerity and earnestness in his voice, I believed him. This country with its diversity has given the Jews ample opportunity to express and expand themselves even if they were a minority community and not a part of the ruling British Empire. Even after independence, the Jews were not driven out of the country. It is indeed a tribute to Kolkata and to India that a Jewish family which had migrated from the city for Israel came back. It gave me a feeling that probably everything is not wrong with this country. Maybe the good things we somehow refuse to acknowledge. The King is dead, long live the King. Although the familiar face of David Nahoum will not be seen any more, yet the grand show of Nahoum’s confectionary at New market still goes on and is Kolkata’s address for best bakery items. David Nahoum was a bachelor and his brother Isaac is carrying on with the family business. Set up in 1902 by another Baghdadi Jew, Nahoum Israel, the shop turned into Calcutta’s most famous and loveable confectionary. Afterwards his son Elias took on the baton, followed by David who was initially not interested in the business. Earlier he worked for Martin Burn, but took reigns of the shop from 1964 after the death of his father. David Nahoum himself stuck to kosher foods. Kosher foods are those that conform to the regulations of kashrut (Jewish dietary law). Over many years, the cake shop has delighted the people of Kolkata with their brownies, cheese muffins, delicious pastries and plum cakes. The legacy continues and we hope it will do so for years to come. 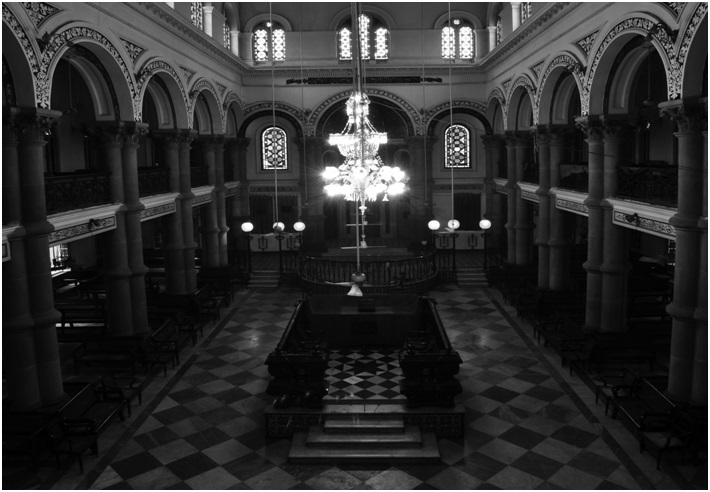 Hidden in the labyrinth of Kolkata are the synagogues or the Jewish churches which many residents of the city have no idea about. The Beth El Synagogue displays its name over its entrance door and Star of David signs on its wall can be seen jolly well standing from the Pollock Street. However when you see the Magen David Synagogue from the overcrowded Braboune road, its high steeple gives an impression of the building being a Christian Church. When you enter the premises of Magen David from the Canning Street, you can also see the first Jewish Synagogue – the Naveh Shalom (built in 1831) in the same premises. The building has been renovated in recent times. Naveh Shalom synagogue was named after its builder Shalom Ha- Cohen. When it was found to be inadequate to accommodate the growing Jew community, Beth el Synagogue was erected in 1856. The construction of Magen David Synagogue followed in 1884 by Elias David Joseph Ezra, in the memory of his father who died two years earlier. Beth el and Magen David Synagogue are protected by Archaeological Survey of India. Earlier a written permission was needed to enter the Synagogues and to photograph the interiors. This permission was available from Nahoum’s confectionary shop at New Market. After the death of Mr. David Nahoum, one can contact Ms. Cohen of the Jewish Girls School to get the necessary permission. Walking through the narrow Pollock lane with several shops around, the Beth el Synagogue suddenly comes into view. On my first visit, I was simply astonished to ‘discover the structure. It looked out of place in that narrow lane. The interiors look surprisingly well maintained as the regular service at this synagogue has stopped 10 years ago. The Saturday services has also stopped due to non availability of 10 adult males as stipulated under Miniyan, the congregational quorum. With only around 25 Jews left in Kolkata, the stipulated numbers cannot be achieved. ‘Beth El Synagogue’ is carved over the entrance gate. Above it is a uniquely designed stained glass window panel with signs of Star of David and a seven branched Menorah above it. The Star of David is the worldwide recognized symbol of modern Jewish identity and Judaism, while the Menorah is emblem of the modern state of Israel. Entering the grand structure painted in light yellow, the visitor is treated with an immense hall with black and white chequered marble floor lined with pillars painted in yellow and blue. On the left is the founder’s room where a beautiful portrait of David Joseph Ezra hangs from the wall. In the middle of the hall is a raised marble platform known as Bimah. Here the Rabbi stands and preaches from the Torah which is written in Hebrew. There are several wooden furniture pieces both in the ground floor and around the top floor balconies. Walking straight you come to the altar. There are three doors here, behind which the Torahs are kept. Above the doors, is a semicircular dome. Three Hebrew inscriptions in red stained glass can be seen here. The centre inscription depicts the Ten Commandments, while the other two are prayers from Torah. In the courtyard of the Synagogue is a traditional oven which was used to make the Jewish unleavened bread. Also there is a Mikveh, a tiny bathing area used for the purpose of ritual immersion in Judaism. The caretaker wearing uniform and cap hands me a Kippah (Skull Cap) to be worn inside the Synagogue. 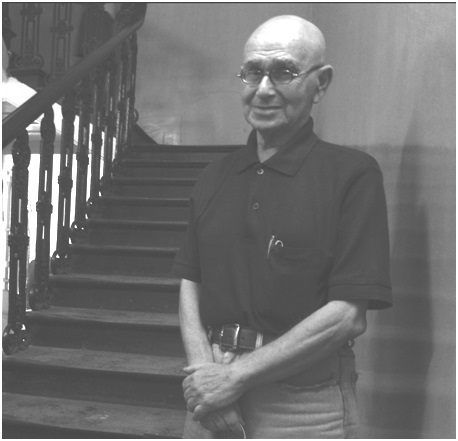 His name is Firoze Khan, whose family has been the caretakers of the Synagogue since three generations. It is to be noted that except one all the present caretakers of the Jewish Synagogues are Muslim. Muslim custodians stand zealously protecting the Jewish legacy in the city. I felt proud that my city nurtures such examples of harmony. “They trust us.” said Rabul Khan, one of the old caretakers of the Magen David Synagogue. “Over the years, we have been looking after them and our future generations will continue to do it.” Rabul Khan’s son in law has been appointed as the caretaker of the recently renovated Naveh Shalom Synagogue. It is heartening to see that the Naveh Shalom has been very well renovated. The interior hall is much smaller and there is no abundance of stained glass decoration here. The top floor balcony can accommodate only one row of chairs. 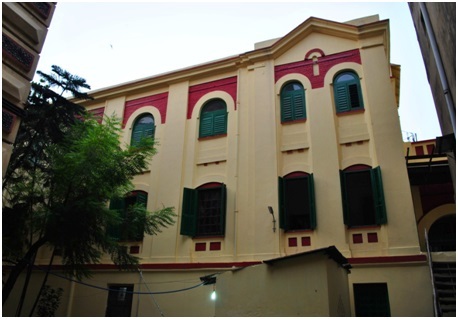 Yet this being the first of Synagogue of Calcutta, it has its own importance. It has its entrance from the Brabourne road; a makeshift wooden staircase allows you to easily navigate to the adjacent Magen David Synagogue. Magen David Synagogue is the most grand out of three Synagogues. Situated at 109A Canning Street renamed as Biplabi Rashbehari Bose Road, the red coloured building has a tall spire which raises above all the buildings around. The shops lined by the gate and the electric wires obstruct the clear view of this magnificent structure. The interior hall is studded with Corinthian pillars, arches, stained glass and chandeliers. It indeed is a spectacular sight. The altar is similar to that of Bethel, but the semicircular dome looks much prettier. The stairs to the top floor has three framed photographs lined on the walls. They are of Sir David E.D.J. Ezra, Joseph E.D.J Ezra and Elias David Joseph Ejra. Like the Beth El, on the top floor of Magen David there is another enormous and beautiful circular stained glass design. Last year September, the Jews of Calcutta managed to arrange the required 10 men for the prayer to celebrate Simhat Torah. Israeli ambassador to India, Alon Ushpiz, came to Kolkata with five other staffers from the Israeli mission in India to fulfil the required quorum of 10 men (referred as “minyan” in Jew). Previous such occasion was way back in 1988. Although the Archaeological Survey of India (ASI) has undertaken renovation of the Synagogues, the Jewish community also chips in with their own effort. I saw a chandelier being repaired with local help on my last visit to Magen David Synagogue. Completing my tour of Jewish schools and synagogues for this exclusive for Probashi, I felt that although the Kolkata Jew population is diminishing rapidly, yet they have done their best to keep their legacy intact for the future generation. And when I say the future generation, I mean the whole of India and the residents of the city of Kolkata. Prosecuted wherever they have lived, India is probably the only country where the Jews lived with respect and dignity. And it is this gesture which has made the Jewish community bequeath their legacy to the country which the last Jews call their motherland. And for me personally, I see my city with much more respect than I had before I did this article. Mr. Amitabha Gupta’s article provides a rare insight into the history of the Jewish community of Calcutta (now Kolkata). My friend, residing in Hongkong, has requested me to ascertain the contact details of the Jewish community association in Calcutta. Thanks to the author, perhaps some of the persons mentioned in his article may provide the informations. This article is very interesting.